See further below, under LATEST, for my most current posts. Click on the smaller previous day images for the full post, click image again for full-size. All images are my original photos! Go to the About page for more info. You can also use the links above to Subscribe or contact me. And, please Leave A Comment for any post, if you like. 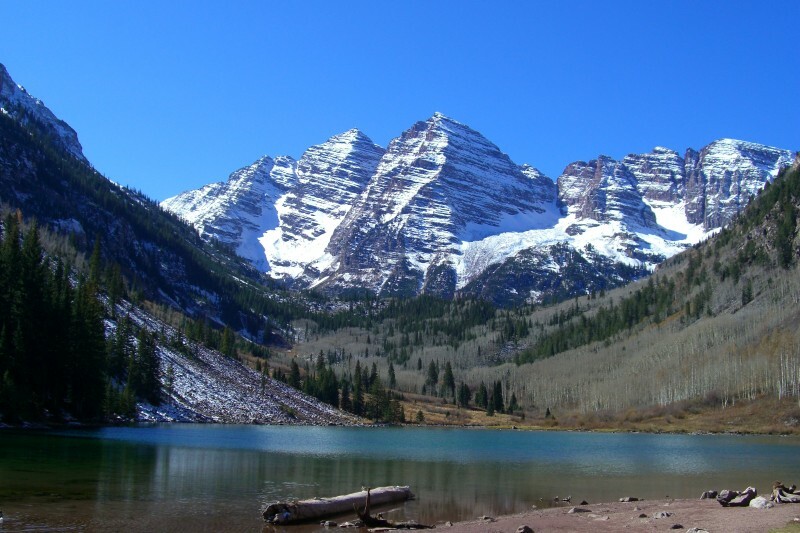 Hope you enjoy this virtual tour of Aspen! All photos copyright 2006-2008 Mike Jahn, all rights reserved. To get information about my IT Consulting business, go to www.clearpathtech.com. 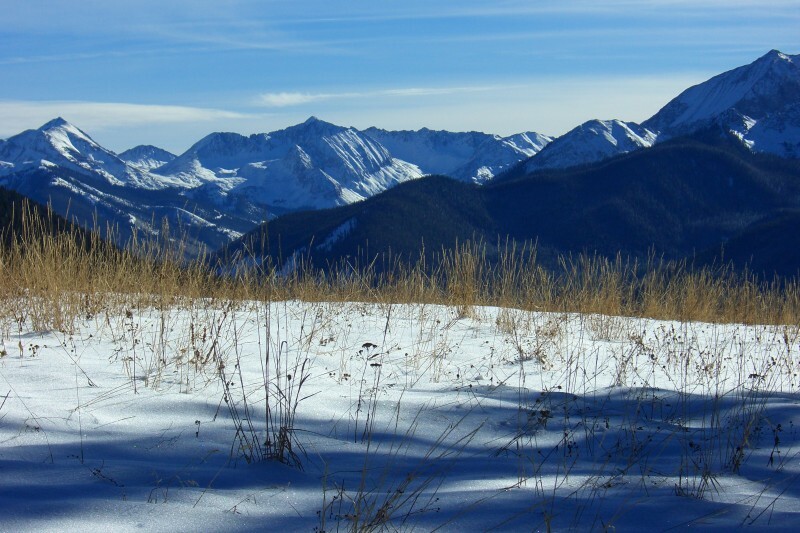 Subscribe to Aspen Views by Email to receive a message whenever a new photo is posted! 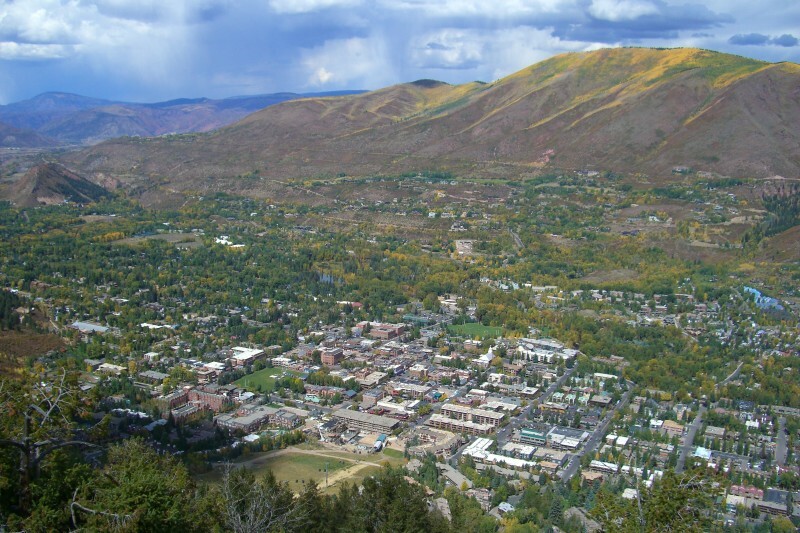 Looking down on the City of Aspen, from the top of the Ute Trail. In my previous post, I mentioned the Ute Trail, and I included a link to a video, which helps to give an idea of the hike; but I wanted to share a good still image of the view from the top of Ute Rock (taken on the same day as my previous post). It’s pretty amazing to look out over the whole city of Aspen like this. On the right, you can see the blue roofs of Centennial, and Hunter Creek just to the left of that. 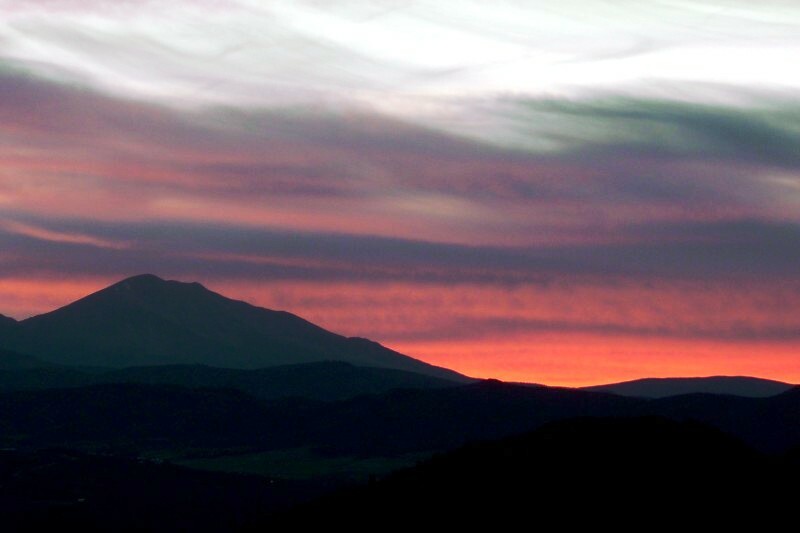 On the far left is the Red Butte, where the Rio Grande Trail and Roaring Fork River intersect with Cemetery Lane. 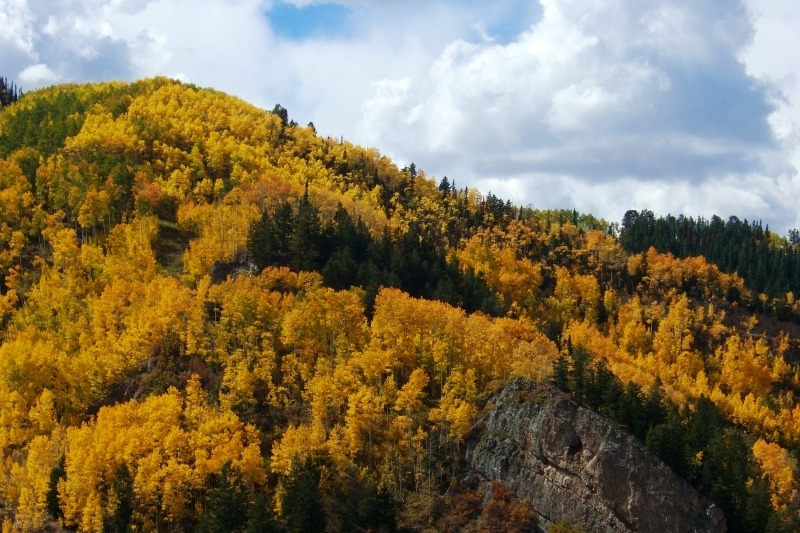 And, of course, the beautiful fall colors accent the top of Red Mountain. Since we got more snow again last night... here's another fun, snowy shot. The dark, shadowed pattern of the bridge provides great contrast against the sunlit white snow along the river. Taken 3/3/2008. 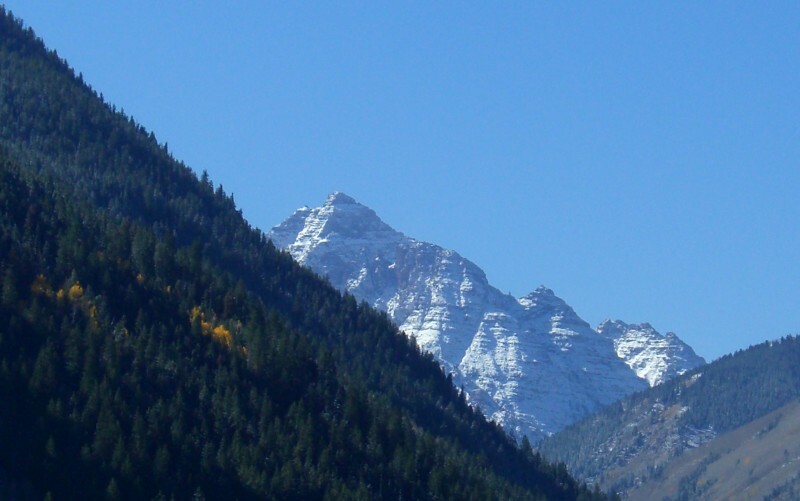 This photo was taken toward the end of a long journey, as I was driving from Illinois to Colorado, moving to Aspen. This shot, approaching Glenwood Canyon, was taken on the same day as my earlier "Full Moon Sunrise" photo here on "Aspen Views." Taken 10/27/2007. It's been snowing all weekend... So, here's a shot of Shadow Mountain, from the morning after a big snow last year. Notice the clear bright blue sky. That's how we like to order up our ski days here... big dump overnight, followed by a clear sunny day! Taken 1/8/2008.